The mystery seed from last week was no mystery, it seems. Karen and Heather correctly identified it as a pecan as soon as it went live. 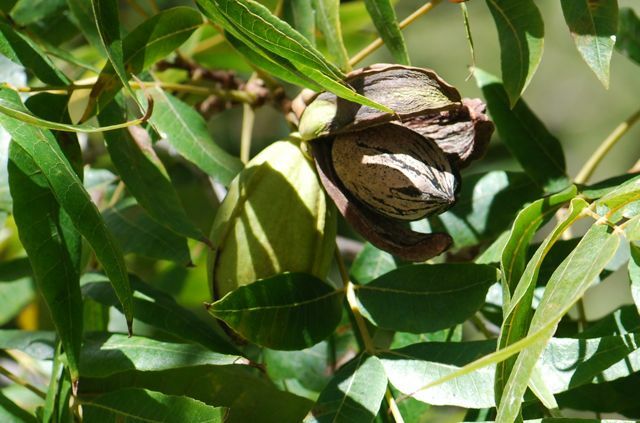 Did you know that pecans, Carya illinoinesis, are originally from North America, particularly the Mississippi River region? 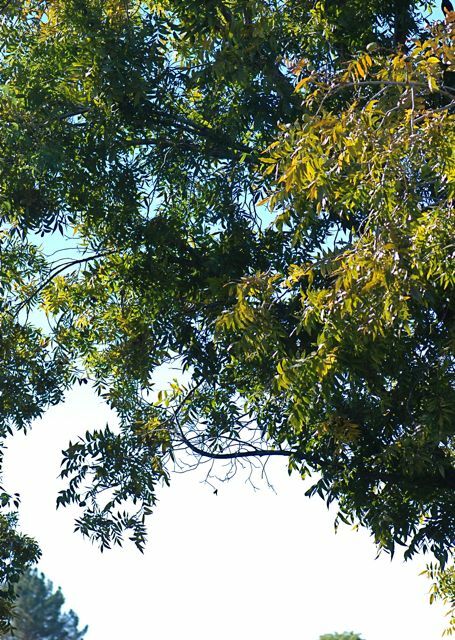 They are closely related to another of my North American favorites, the shagbark hickory, Carya ovata. The parts we eat are called nuts, but most botanists agree they are the stone or pit of a drupe. The fruit forms within a green, fleshy husk. Here in Arizona the fruit is still on the tree in its husk right now. Over time the husk will dry and split open. Then the mature pecan will drop to the ground. 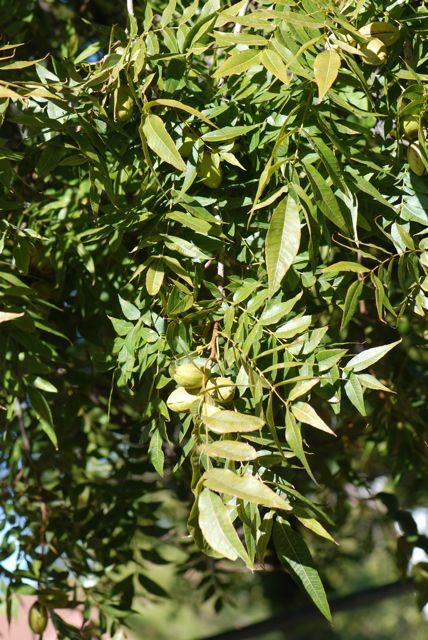 Pecan trees have compound leaves, which means they are composed of small leaflets clustered together. The trees are quite large, up to 70 feet tall, and are deciduous (drop their leaves in winter). They make lovely landscape trees if you live in the areas where they will grow, although at least here in Arizona they are susceptible to an aphid that drips sticky honeydew at certain times of the year. 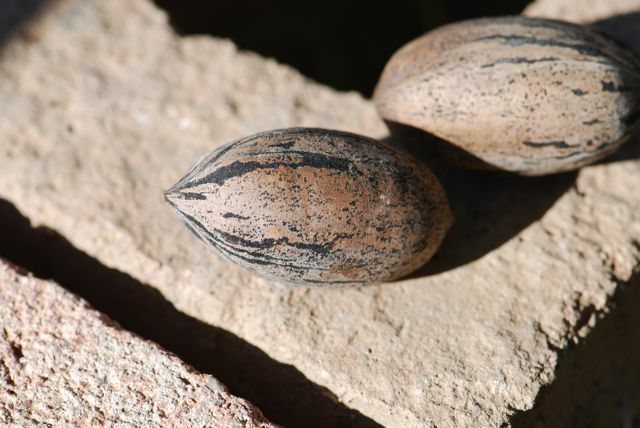 If you would like to grow a pecan from seed, keep the shell intact (like the first photograph). You may plant it in the fall. If not, then you will need to subject it to a period of cold that mimics a winter underground in order for the seed to germinate. The process is called "stratification." E-How has instructions for preparing a pecan for planting for kids. 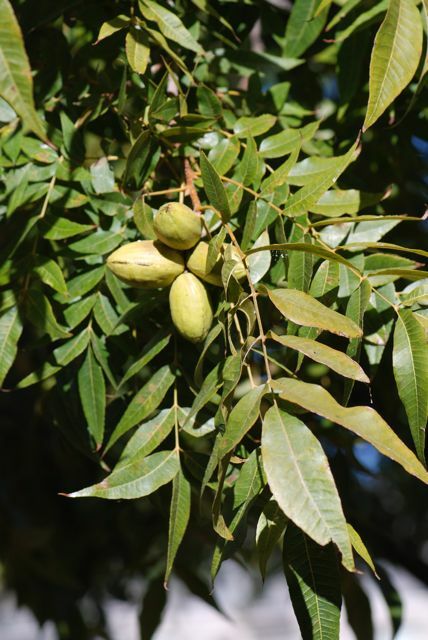 Have you ever wondered how pecans are harvested? In this video you will see the three step process. First the pecans are shaken from the tree, then they are gathered into a pile or windrow, and finally they are gathered and sorted. The video is long, but the last machines are worth the wait. 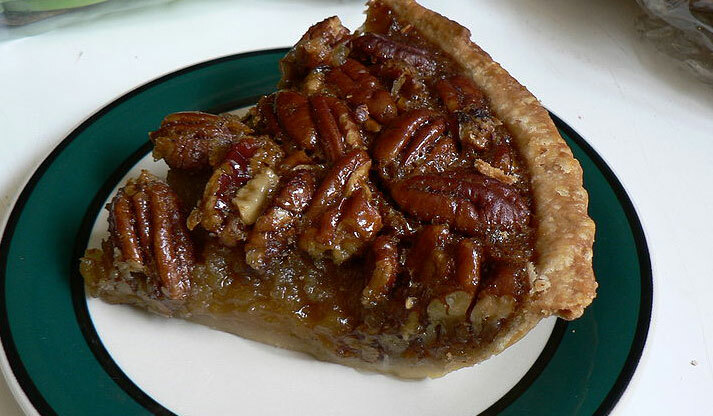 Finally, what discussion of pecans is complete without a lovely pecan pie? What is you favorite way to eat pecans? 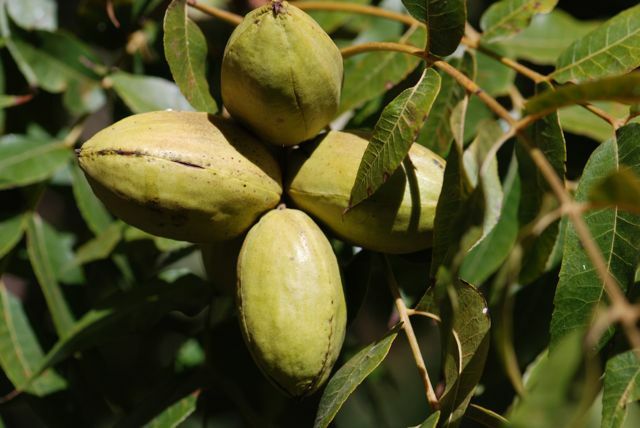 The North Carolina Pecan Growers have lesson plans and games.